Cambro has taken a slight step back and a giant leap forward with the recent introduction of the new shelving line: Camshelving Basics. Let us explain. Google “restaurant shelving” and you will get hundreds of results. Try “foodservice shelving” and you’ll see pretty much the same thing. So what makes this new shelving line by Cambro so unique? Having commercial-approved shelving in foodservice is important and a shelving unit from the local home improvement store just won’t do. Why, you ask? These type of shelving units are not NSF Listed or approved for direct food contact. They are also not designed to withstand the unforgiving restaurant environment, the constant loading and unloading and harsh chemical exposure. These shelving units eventually will rust, corrode, deteriorate and give out prematurely. Your local Health Inspector will not be happy with such conditions. You and your staff will have to endure interrupted service, having to completely empty out your storage area every few years to dispose of this rusted shelving (approximately 3-5 years) and install new shelving that will eventually bring you back full circle to repeating the same exercise in a few years. 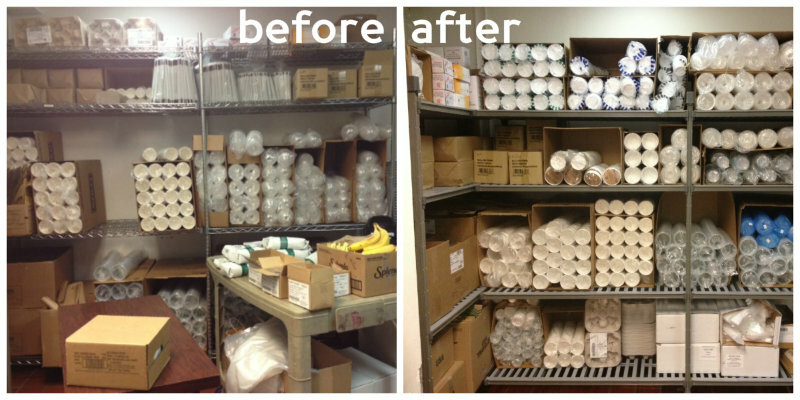 Independent operators, Mom and Pop’s, Ethnic Restaurants, Yogurt and Sandwich Shops, often resort to lower cost shelving units, sometimes the non-commercial approved type because they simply cannot afford to upgrade to a better shelving solution. Instead, they are forced to conform to repeatedly having to replace bad shelving with more bad shelving rather than upgrading to something that is going to bring them long-term value. According to Health Inspectors we met with at the recent NEHA Conference. It is often independent operators that are dealing with health code violation fees mainly as a result of improper food handling, lack of food safety training but also as a result of poor storage practices; this includes the use of non-commercial shelving and rusted or badly worn out shelving. These type of operations are already running on low margins as it is and cannot afford to continuously pay fines which range anywhere from $250-$500 depending on the severity of the violation. See, simply having restaurant shelving isn’t the answer; it’s just part of the answer. Yet, independent operators are often misled thinking this is all that is required. There are many shelving options available, the best advice we can give you is to take a look and add up the numbers to see what your shelving is really costing you in replacement costs, health code violations, kitchen inefficiencies, labor cost involved with cleaning? NSF-Listed shelving at a more affordable price. Camshelving Basics is precisely the answer for this group of operators. For the most part, they are not in need of full wall-to-wall systems or shelving units that hold massive amounts of product. Most of the operators we spoke to do not keep much inventory on hand. They are simply looking for a basic shelving solution that is going to “take the worry away”. What separates Basics from other shelving lines is that it is a lower-cost shelving solution, designed with the independent, cost-conscious operator in mind. 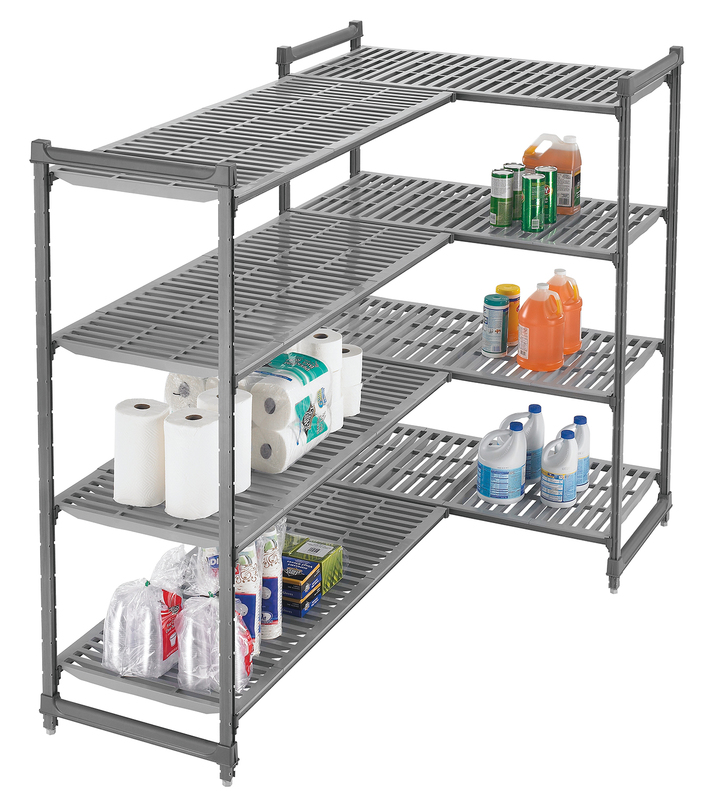 It is a non-corrosive, no rust shelving solution made from a unique composite material that will hold up to the challenging storage demands of commercial operations. It is also going to help operators do away with unnecessary, inconvenient and costly replacements. A kitchen should be set-up for maximum cost savings, labor efficiency, food safety and functionality no matter the size of operation or the budget and Basics helps operators do all of this.